When your design skills are recognized by publications like Elle Decour, New York Home, and the New York Times, as well as by many well-to-do clients living in some of the money magnets in the U.S., it seems natural that curating products for a home furnishings retail store would be an easy road to success. 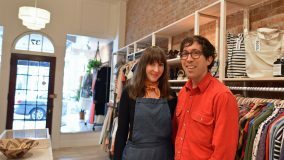 From all indications it seems like it has been for this week’s Doers and Dreamers, because these guys have made a big investment in a sizable store in Uptown Kingston and are really pleased that they have. Say ‘hello’ to a couple of gentleman that have come from wildly different backgrounds to leverage a common passion to create a very successful enterprise. 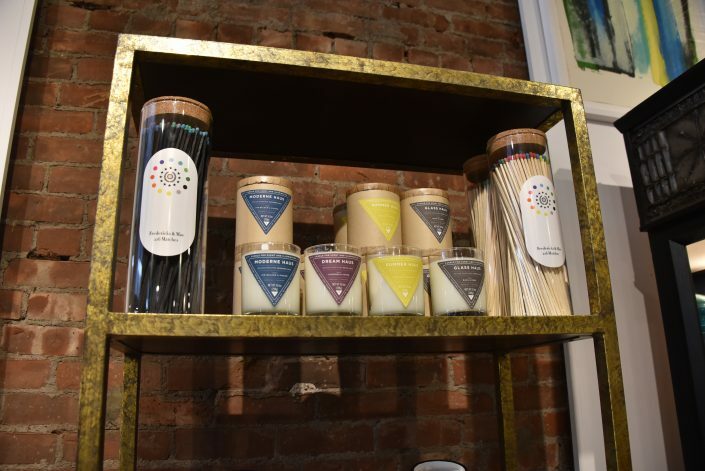 We opened up our first store, Spruce Design + Decor in 2003 in High Falls, NY. We were there for 10 years until we moved it to Rhinebeck. We’ve always loved The Stockade area of Uptown Kingston and knew we’d eventually have a store there as well. A year ago November, that became a reality. 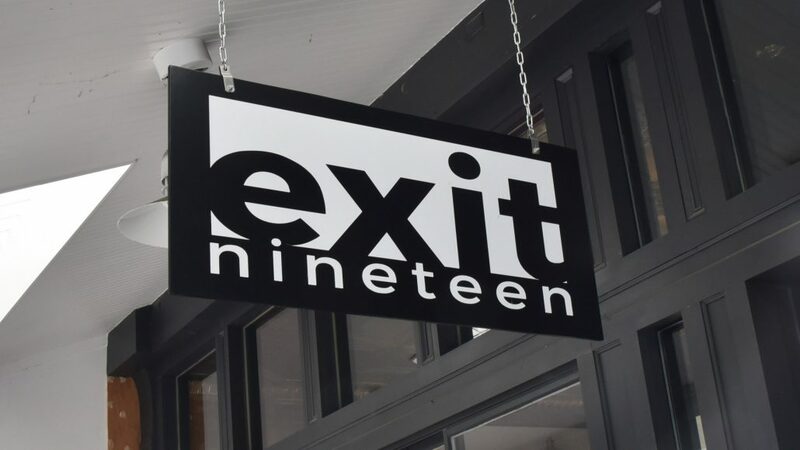 We believe in Kingston so much that we even changed the name of our second store and called it exit nineteen (obviously after exit nineteen on the thruway). We wanted everyone to know who we are and where we are. For a year, we had two stores and were pulled in two different directions. 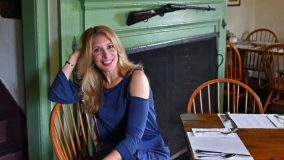 The overwhelming success of exit nineteen allowed us to close the Rhinebeck location and focus all of our efforts to Kingston. We have retained the name Spruce Design + Decor for our interior design portion of the business. This is what Jamie and John concentrate on during the week. Current and past interior design jobs include many Catskills residences, NYC apartments and townhouses, along with projects in The Hamptons, Miami, Dallas, Chicago, LA and San Francisco. Featured work have appeared in Elle Decor, Interior Design magazine, The NY Times along with many other publications. There is an incredible amount of passion for what we do at exit nineteen and in the homes that we create for our clients. We honestly live and breathe it and love every minute of it. 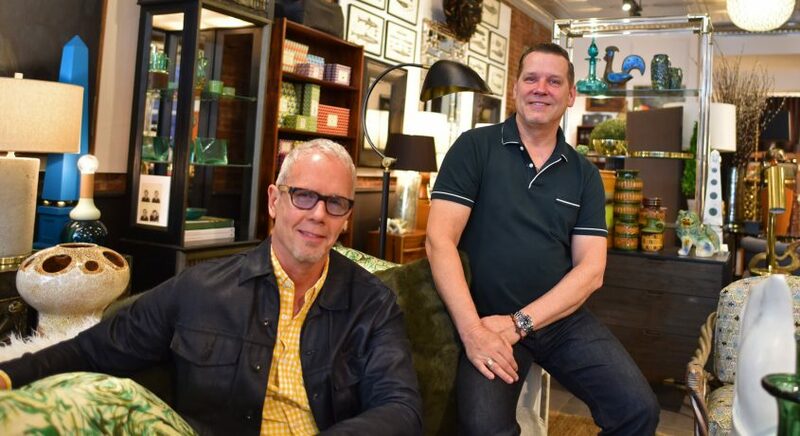 Back in 2003, when we started our business, we were one of the few stores in the area dealing primarily in mid century furnishings. We still focus on that, but have recently started bringing in more things that simply possess incredible style. In other words, things we love. We have no problem mixing a 1970’s Adrian Pearsall sofa with Victorian chairs and an antler table. It’s all about the mix and making it your own. We also want exit nineteen to have something for everyone. 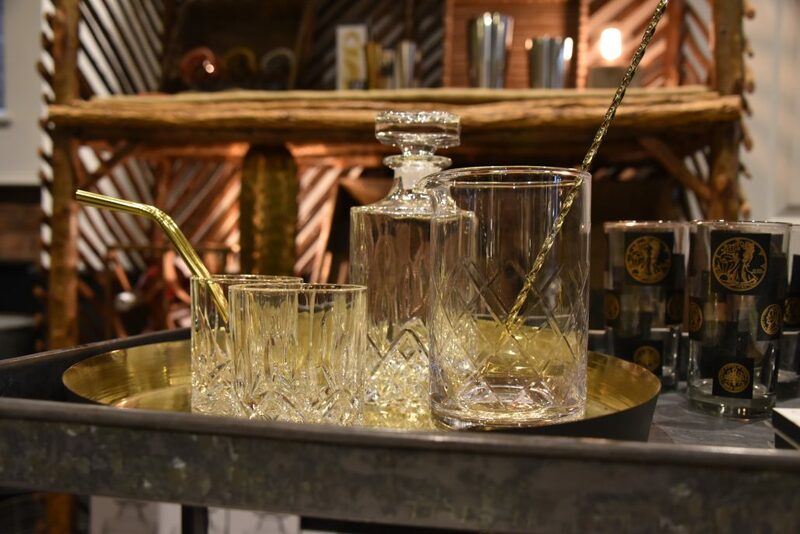 Whether it be modern chic, cozy cabin, or if you’re simply looking for the perfect birthday or wedding gift, the store has it all. 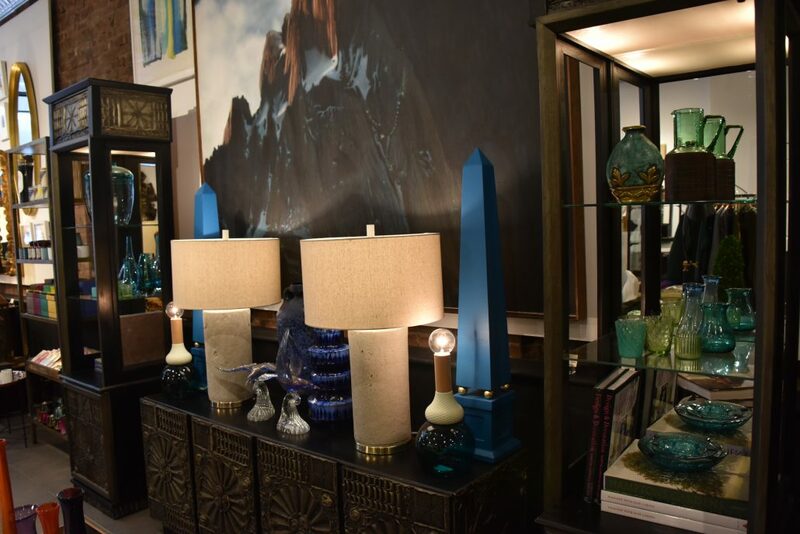 The range and assortment is constantly changing and you’ll be assured of new inventory each and every time you visit the shop. 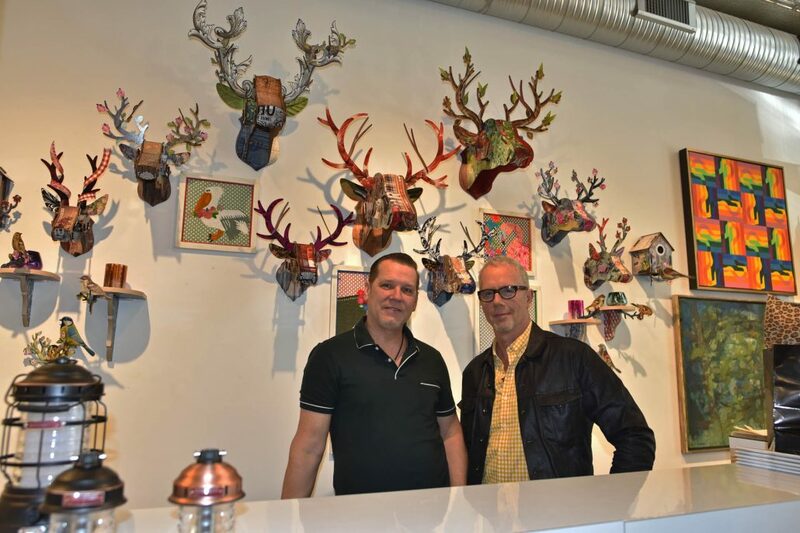 We also enjoy featuring local artists and locally made products. Our summer art series will feature the incredible works of Mary Jane Nusbaum. This will run from Memorial Day to Labor Day. John originally grew up on a big working farm and ranch in Texas showing pigs and dairy cattle in county fairs while Jamie is a native New Yorker who was always exposed to the big city life of NYC. Nineteen years ago we met and have been together ever since. Coming from two completely different upbringings, our worlds collided and somehow we magically share the exact same vision in every aspect of life and business. We’ve been coming to the Kingston area for years. There’s a charm to it that greatly appeals to us. There’s also an excitement about what’s to come in the near future. 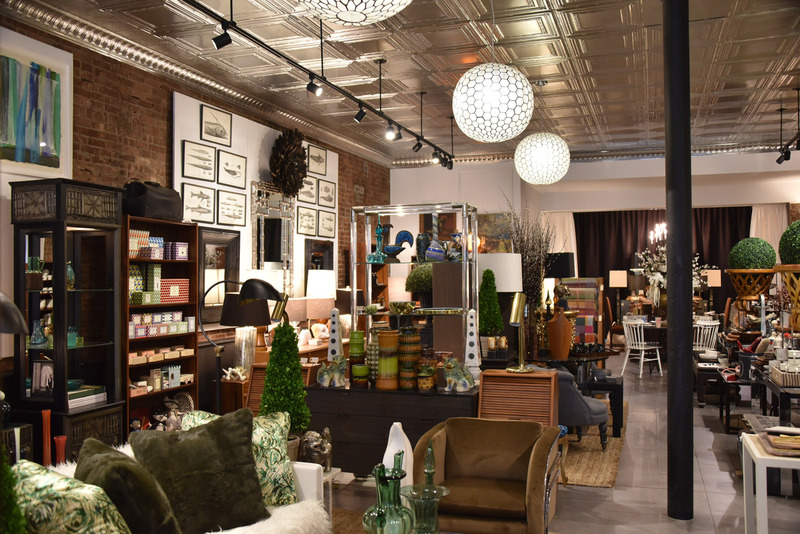 The organic grocery and food hall is slated to open right next door to us, our friends just opened up a men’s clothing store, boutique hotels have started being worked on, and other stores will soon be coming to the uptown area. This energy and momentum is electric and it’s so much fun being a part of it. We have three favorites (Boitson’s, The Elephant and Santa Fe). All three are great casual dining spots to hang out with friends, share a fantastic meal and enjoy a few drinks as well. We love to travel and it provides us with so much inspiration. Travel usually includes work, but that’s ok. One of our favorite places is Paris. Our first stop is always the Paris flea market (this is always at least a two day affair). We find things that are so unique and different. Our next buying trip there is in October. Another amazing place is Marrakech. It’s magical, mysterious, and exhilarating walking down the narrow winding pathways of the souks searching for beautiful objects, rugs and crafts created by talented local artists. Even though we deal primarily in mid century and modern furnishings, we live in a 1723 stone house. For years, we always thought that we’d be living in a “glass box” modernist house.